How interesting! I had never heard of this stuff. I've been fighting the worse breakouts ever so maybe I should give it a try! This looks really interesting! Does it harden while you have it on? What bulk food store did you get yours at? I am also in SoCal so I'm sure we've got the same stores. Anonymous- 1/4 tsp should be more than enough to cover an entire face but if you need more, go for it! I've been to sprouts plenty of times but havent seen this in the bulk bins. Do they have smaller bulk bins somewhere else? Or maybe my sprouts isn't as big as yours? I will go in and look again. Thanks for getting back! I have been taking this product called EnergyBits that is 100% Spirulina. It is packed full of vitamins and gives me awesome energy. It also is 68% protein so it feels you up. I take some bits about 30 minutes to my workouts and I always feel great. Not the heart racing kind of feeling but just natural energy. Anyway I saw this post and thought of that. So many uses for Spirulina. The website is www.energybits.com if you want to check it out. I have a discount code for 25% off too. Code - TakeABit. Anyway, have fun in Vegas. I will definitely have to try this!! Have the mask on right now! 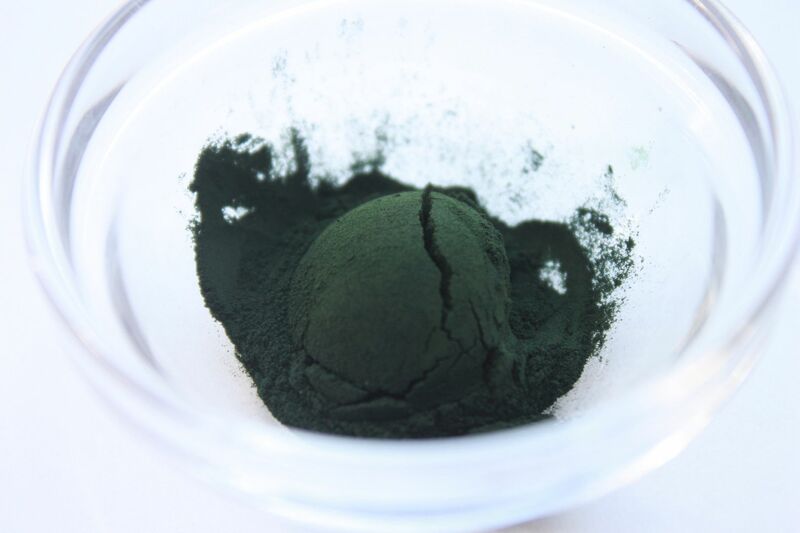 Spirulina contains β-carotene, which along with vitamin E, Selenium and Zinc deep cleanse the skin. Moreover, Gamma Linolenic acid (GLA) present in it protects the skin against UV rays and keeps the skin glowing by activating blood circulation of the skin. Cannot wait to try all of your skin care ideas! Just went out to get a bunch of stuff yesterday. Folks...this is the best mask ever...just started using it and the results were amazing. I also drink Spirulina mixed with fruit juice...this stuff is a gift from God. I just bought 2 lbs of powdered Spirulina. I took with water and with juice. I know it would be very hard right now for me to stomach it with water but I don't like the idea of using juice that is full of sugar. Fixing to try the mask though. The capsules open up & you can pour out the powder. One capsule is plenty for a mask. I have been applying spirulina to my face 3 times a weeks now for about 6 weeks and the benefits are very noticeable it has even started to fade out the broken capillaries around my nose from my rosasea. I don't like to use it with water only, cause it dries, and pulling my skin. I tried with oils and hialuronic acid but doesn't sticks to the skin. Finally I add to normal mask (doesn't smell so bad then), but i heard it's great with yoghurt. I can't wait to try this way. I have been taking spirolina tablets for almost a year and my immune system has improved a lot and so has my skin, I came up whit the idea for a spirolina face mask and so I googled it. Thanks for the post. Wow ! I cannot wait to try this. Love this mask. Another option is to use castor oil in place of water. 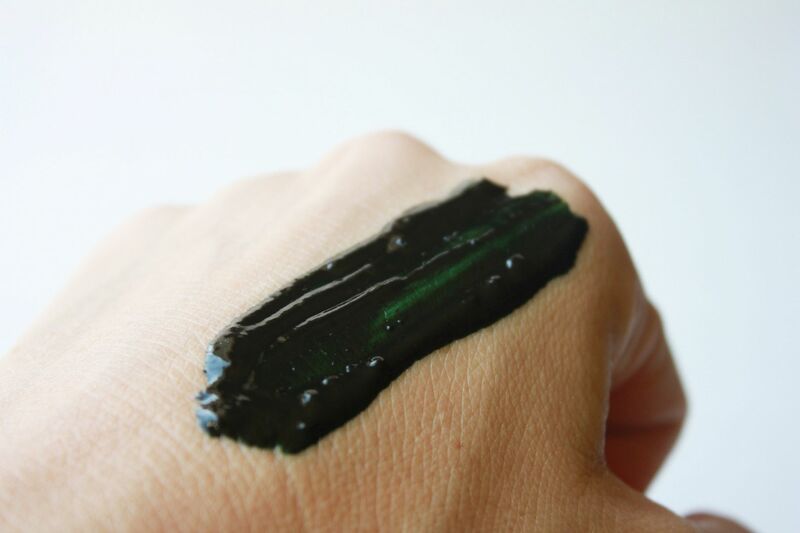 The oil helps draw impurities from the skin and it doesn't harden. Im thinking of trying it with honey, will definately have no trouble sticking to your skin and honey has wonderful antibacterial properties, an added bonus. I was looking for a good way to use this on my face around the eye area in particular for my dark circles as it has 16mcg of vitamin K which is supposed to be good for that. I'm afraid it would be to drying with the water so how about coconut oil or honey? I do use this in my smoothie but haven't been doing that as regular as I should so i have to get back to that. Probably why I've been noticing the dark circles more but would like to speed up the process a bit and my whole face could use some of the benefits listed here. Mixing crushed apples with warm water and yogurt and applying it on our face helps to remove all the dirt in our face. It is a very popular cleanser used all over the world.